It's no secret that I would rather sit at home watching entire seasons of whatever TV show I am into, living vicariously through the characters; than be doing anything remotely sociable. Don't get me wrong, I love my friends and I love exploring the city but TV shows allow you to spy on people in another world! You can always find a character that you can relate too, and before you know it one of your best friends gets cancer and dies as another one of your best friends crumbles on the floor next to her with a sunflower that sings 'you are my sunshine' (Dana and Alice// The L Word). 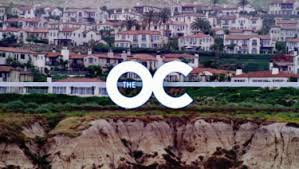 But due to watching so many TV shows, I have quite often had their theme songs stuck in my head, which has forced me into thinking the crucial question Which TV shows have the best theme/intro music? And as there was too many to write about, I have narrowed it down to my personal top 5, however I'm pretty sure you will agree with me! PS. I Love you. Lol JK... click the song name to see the shows theme intro video, type thing. 5. Fifth on my list is a show I have never seen, the kids that lived across from me were obsessed with it, and sang the intro whenever someone asked them to do something ... I am so glad they finally got bored of doing that. 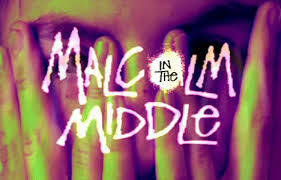 I think the reason that the show was about this kid called Malcolm was why I didn't watch it. Seriously Malcolm is a weird arse name. Malcolm in the middle// Boss of me // They might be giants. 3. This is another one that I am surprised at, as am a fan of the song, and the band... however if it was up to me, I would have cropped the song in a different way and maybe mixed it up a little. I remember rushing home from school to watch the double bill that was on living every afternoon. Ahh childhood. 2. 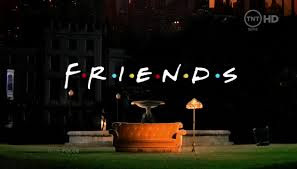 Is a show that I drift in and out of, I go through stages of not being bothered to watch it but then as soon as I hear the song used into the intro, all I want to do is sit in front of my tv for days watching them back to back! And I know there is a few people out there who would agree with me on this! 1. It was a close call between this and California, but after careful consideration, I realised how powerful the song is, and number one on my list became an obvious choice! 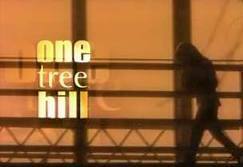 I may have been a little late to jump on the wagon for this show, as I only started to watch it, just as the ninth season aired last year, but to this day when I hear this song, all I think about is the whole cast singing it in the final ever episode and it makes me want to cry, SO HARD! What do you think? Have I missed any of your favourite TV show themes? Tweet me and let me know! Now lets all have a good cry..